Dr. Seo really took time to explain everything during exam which helped me a lot to understood what I need andwhy I need such procedures. Highly recommend! My experience today was wonderful the receptionist was very nice she explained my situation to me and I understood her. Thedoctor and his assistant was marvelous and very gentle. Explained every step to me. My experience today was wonderful the receptionist was very nice she explained my situation to me and I understood her. The doctor and his assistant was marvelous and very gentle. Explainedevery step to me. **PLEASE NOTE: If you will be filing with insurance, PLEASE SUBMIT or call us with the following: dental insurance company and member ID, or employer if you do not have that information. Your appointment will not be confirmed UNTIL this has been submitted so that we may have the proper breakdown of benefits available prior to your appointment. If you will not be filing with insurance, please notate that so we can process your information accordingly. If you need to reschedule your appointment, please do so at least 24 hours prior to your appointment or you will be subject a $50 cancellation fee. 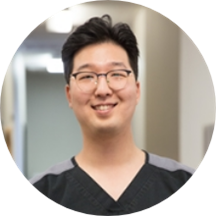 ** Dr. Seo was born in Daegu, South Korea and grew up in Daejeon, South Korea where he decided to become a dentist, following in his father's footsteps. He is a third-generation dentist. His grandmother and father both practice in South Korea . In 2003, Dr. Seo decided to start his educational journey in the states and attended the Culver Military Academy in Culber, IN. After graduating high school in Indiana, he moved to Pittsburgh, PA where he spent his twenties and met his wife, who is also now a practicing dentist in the DFW area. He earned his undergraduate degree at Carnegie Mellon University and D.M.D. degree at University of Pittsburgh School of Dental Medicine. He moved to New York to further enhance his dental education by completing a General Practice Residency program at Montefiore Medical Center in Bronx, NY. Dr. Seo and his wife moved to Dallas and have been serving DFW area since 2017. His passion in Dentistry is to deliver quality dental care in a comfortable and relaxed manner. On his days off, he likes to spend time with his wife and fur daughter, Soy. He also enjoys attending concerts, watching movies and sports, and traveling. Dr. Seo truly cares about his patients. He throughly explains what’s going on through his cleaning and did not rush through the process. I recommend Dr. Seo to family and friends.